Home away from home! That's what we want Portico Church to be for our college students. Some of you may have a home church and some of you may be exploring your faith for the first time. Either way, we want you to feel welcomed and comfortable here at Portico. Our founder and lead Pastor, Chris Atwell, is a 1994 graduate of the University of Virginia. 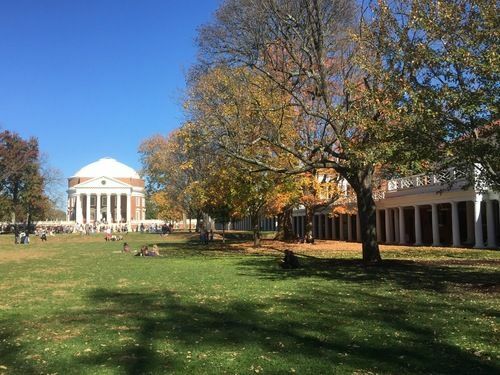 He's a big time Hoo fan, but more importantly, he understands the rigors of academics and the college experience at UVA. 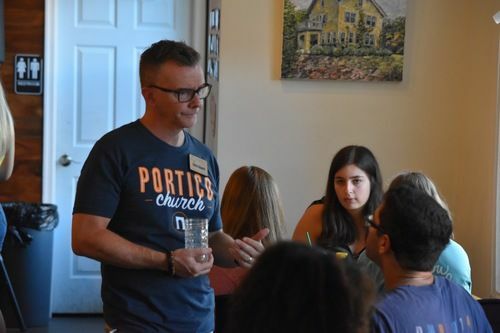 We have a few different ways you can connect with Portico, whether it's our Sunday morning shuttle, a community group, or Office Hours at Grit, check out below for more info! 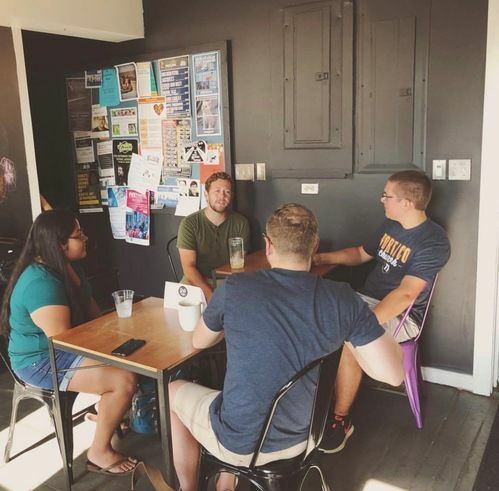 Office Hours at Grit Coffee is designed for college students! A few different members of the Portico Staff team will be at Grit Coffee on the Corner (19 Elliewood Ave.) from 9am to 12pm every Wednesday through the UVA academic calendar year. Come ask (tough) questions, talk with us, pray, get advice or counseling, and we’ll even buy you coffee/tea/pastries. We're also up for casual conversation, whether it's recounting that week's UVA basketball game or chatting about your classes. We simply want to learn more about who you are. Come join us! All are welcome. Shuttle service picks-up from the AFC at 8:45am. Following the completion of the 9am service, students will be driven back to grounds and dropped off at the AFC. Shuttle service picks-up from the AFC at 10:45am. Following the completion of the 11am service, students will be driven back to grounds and dropped off at the AFC. Portico Church has been blessed with a very large and faithful following of young adults and college students who have called Portico their home. We are grateful for the time we get with you, our college students and are excited about the church's ability to send you and a whole bunch of graduating students as missionaires literally accross the globe to use their new degree, training and experience and to share the Gospel with many others in your new sphere's of influence. Click here to learn more. While there are lots of on-grounds ministries that offer discipleship and small group mentoring, we always have undergrad and/or grad students looking for community within the church body. We welcome any college students to join one of our community groups (CG's). They meet regularly, year-round, through out the Charlottesville area. We encourage you to visit a couple groups before you find the right one to commit too. Email Pastor Desmond ([email protected]) for help finding the right CG for you!